Looking for trusted law firm in Brampton. 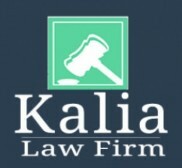 Kalia law provides you all type of legal services such as student visa, family law, real estate, notary and other paper works. contact us for book the consultation.